It is a freemium Apple Music maker application that you can use with your iPhone or iPod. The free version of the application lets you make unique and different music. However, there are more advanced features with the application that is based around a 16x8 grid of squares, glowing interestingly. Beatwave has a logical interface and it is easy for the beginners to use and make their favorite music. You need to tap on these glowing grids for activating the notes. There is a bar that scrolls from left to right, and it triggers each of the lighted squares as it moves. You need to activate solid lined and zig-zag patterns to make the desired chords. In addition to that, it is possible to make arpeggios and lay down the beats as desired. Though the paid version of the application has a lot of interesting features and tones to choose from, you can do a lot with the options that the free version of the application provides. 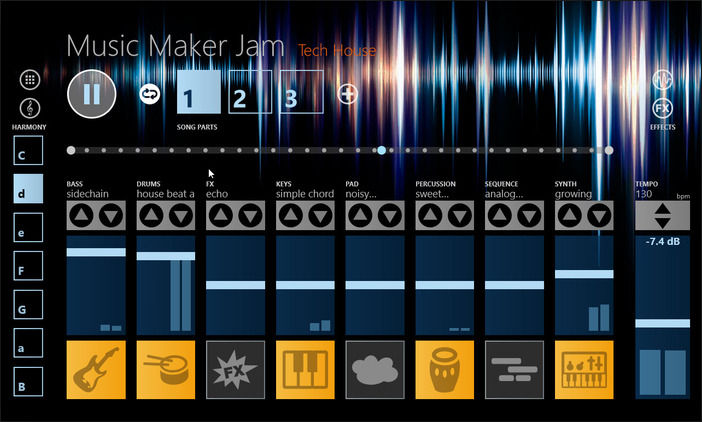 With the application you can make a video game-inspired music tracks in no time at all! 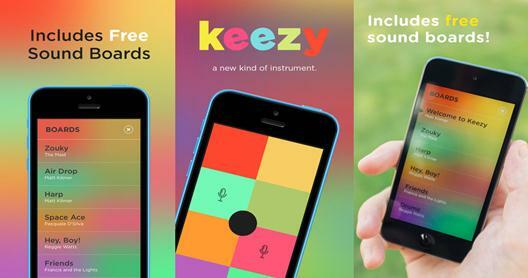 Keezy is a free Apple Music production application that can be used for making music using your iPhone and iPod. Unlike other apps with an irritating soundboard, Keezy is simple and comes with eight-track on the MPC sampler. The interface of Keezy contains eight tiles. Each of the tiles hold a different sample. You can hold each tile down or tap on one once to be able to loop the sample that is present in it or trigger one-shot. There are fifteen soundboards that are already installed in the application. You can also have fun using your iPhone’s in-built microphone to record your own music and making a track using the application. However, when it comes to functionality, Keezy is not quite successful. There’s no way you can export songs from the application. The application can definitely act as a performance tool. It is another free Apple Music maker application that allows in-app purchases. 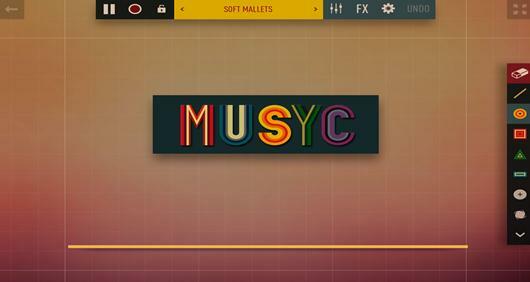 If you want to experience music making like playing video games, you should use Musyc. Musyc works differently in making music. It is a bit oblique. 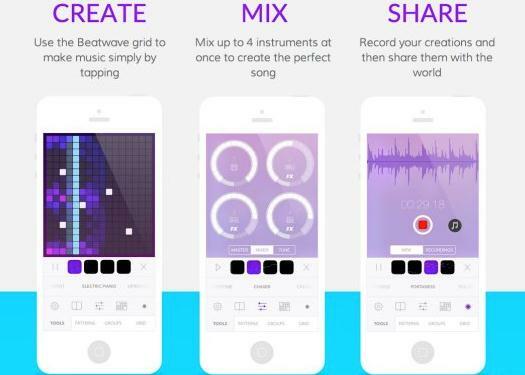 This app lets you make music based on the interactions between different shapes that bounce, sing, collide, and roll. All these happen with the application in a user-generated environment. It is making music while enjoying a video game like environment and functionality. Just like video games like Peggle and Arkanoid, this music making application involves chaos and a lot of frantic plate-spinning. There’s a lot of things happening – pulsating circles like giant speaker cones, tiny blocks pouring out of those circles, triangles vibrating inside containers, and swinging of strange buzzsaws. Around these elements you can draw lines and introduce new elements. When it comes to Mysyc, it is too much of music energy bottled into one. 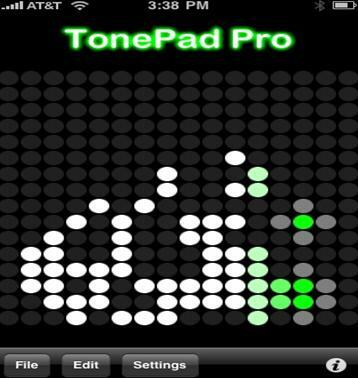 You can use this application to create your own tracks. There are lots of different types of music and files like dubstep, you can create rock, hip hop and all other popular genres of music. 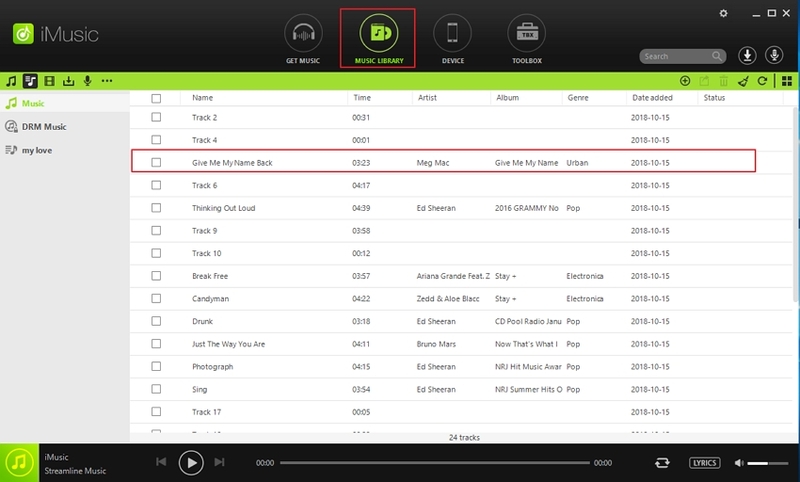 The app provides a complete range of more than 100 music styles and there is a 8-channel mixer. This app will give you the opportunity to create a lot of opportunity for creativity. The application also features options to record your own voice. Voice recording is a unique feature of the Music Maker Jam. 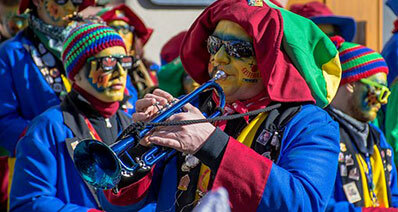 It is an application that provides the easiest and the coolest ways to make music. You do not need to be efficient in playing musical instruments or have a deep sense of music to be able to use this application to make music. Simply touch the screen and the notes will light up. The application uses full 16x16 matrix, but is with a clean and minimalist user-interface. Regardless of multiple tones playing at the same time, this app maintains an awesome sound quality. 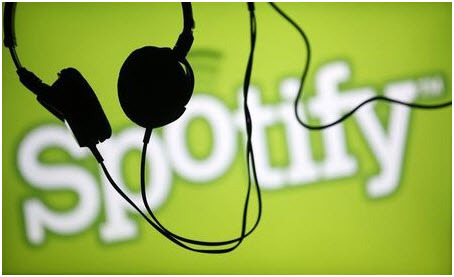 With this application, you will be able to save an unlimited number of songs. The current music that you are creating will get automatically saved when you leave the app. With the help of this application, you will be able to save the music tracks that you create. This app also lets you export tracks as ringtones. There is a paid version of the app too, which you can get at a very minimal price. These are just 5 of the Apple Music editor applications in the market that you can choose from. 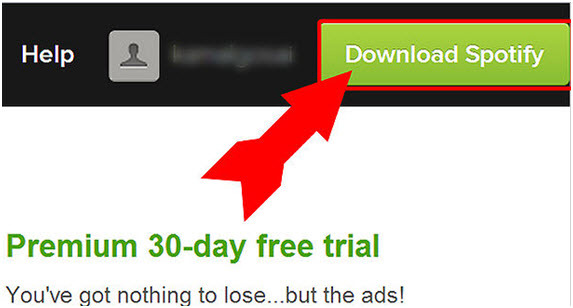 There are many such apps that you can opt either for free or with a minimum charge. However, before choosing an application, you need to be sure of the fact that you are choosing the most effective one. Read user reviews and comments to find out whether the application you are choosing is effective and user-friendly. You also need to find out whether the application has all the important features that you are looking for. To choose an app for making music, you need to make sure that the application has all the important features that you are looking for. You need to be sure that you are choosing an app after researching on all that are available in the market. This will help you get an idea of the features that you’d need to make the type of music that you are looking for. Before you choose a suitable application to record or create your own music, it is very important that you know what you want. Visit the Apple Store to search for all the apps and to get the download information.